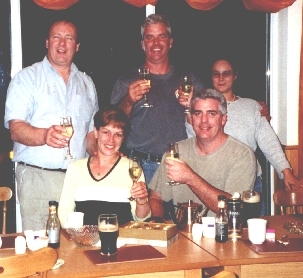 Enjoying the local Craic (not crack), Mission Accomplished Oct 14th 2000! Dan preparing the gear for our Giant Blue Fin fishing trip. 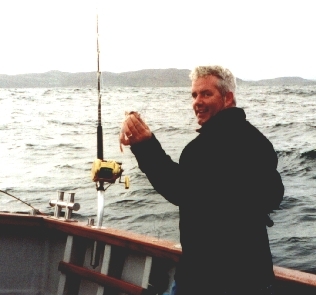 Catching bait. 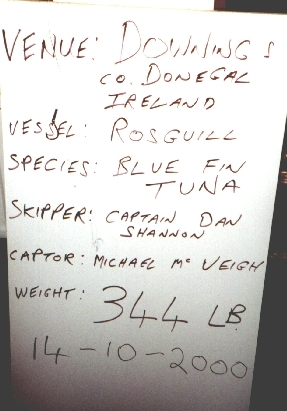 First fish caught was tiny, and promptly returned to the Atlantic. 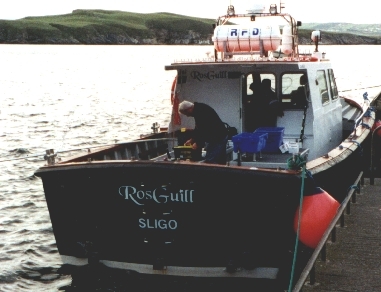 On Oct 14th 2000, the Rosguill became only the 2nd Irish boat to ever land a bluefin tuna with rod and reel. 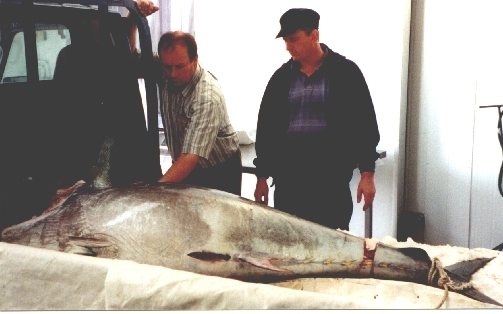 This giant was caught a few miles off of Fishermans Vilaage, Dooey.